Watch in HD – sit back and enjoy! Swedish researchers have made a fascinating discovery with regard to short wavelength blue light that suggests that it could be used as a natural therapy to help improve cognitive function and boost energy levels. In a test comparing the effects of blue light to caffeine and several other modalities, a team of scientists from Mid Sweden University in Ostersund found that simple exposure to blue light actually outperforms caffeine in helping people to think more clearly, focus on the task at hand and have enough energy to get through the day. While previous research has shown that exposure to blue light, especially right before bed, can obstruct the natural sleep cycle by interfering with hormone production, this latest study found quite the opposite in terms of how it affects brain and motor function. Not only does exposure to blue light help promote better focus, according to the latest data, even in the presence of distractions, but it also enhances overall psychomotor function and alertness. To arrive at this conclusion, a group of 21 healthy individuals was instructed to perform a computer-based psychomotor vigilance test both before and after undergoing one of four randomly assigned trial conditions. These conditions included exposure to the following: white light and a placebo, white light and 240 milligrams (mg) of caffeine, blue light and a placebo, or blue light and 240 mg of caffeine. Following the exposures and the test, the research team analyzed the results using the Karolinska Sleepiness Scale. What they found was that both the caffeine only and the blue light only groups experienced enhanced accuracy when taking a visual reaction test that required making a decision. Not only were the participants in these two groups better equipped to make the decision, but they were also able to make it faster than those in the other two groups. Additionally, the blue light and caffeine groups were found to have improved overall psychomotor function compared to the other groups. However, the blue light only group outperformed the caffeine group in several other key areas, one being a test of executive function that involved introducing a distraction into the mix. Those in the blue light only group had improved accuracy and consistently outperformed those in the caffeine only group when both congruent and incongruent distractions were put before them. Visual reaction performance was also substantially improved in the blue light only group, and especially among participants with blue eyes. “Blue light and caffeine demonstrated distinct effects on aspects of psychomotor function and have the potential to positively influence a range of settings where cognitive function and alertness are important,” wrote the authors about their findings, which were recently published in the open-access journal PLOS ONE. The study builds on related research involving the use of blue light to improve memory, alertness and reaction time. Doctors at the University Hospital of Heidelberg in Germany, for instance, have already developed a blue light patch that can be used to treat chronic pain. And another study on blue light that was published earlier this year found that it can be used to help stimulate and improve brain activity in blind patients. “[Blue] light stimulates higher cognitive brain activity, independently of vision, and engages supplemental brain areas to perform an ongoing cognitive process,” wrote the authors of this earlier study, from the University of Montreal in Quebec, Canada. Their study was published in the Journal of Cognitive Neuroscience. For over 60 years, the conventional psychiatric industry has systematically ignored the mental health benefits of niacin (vitamin B3) – as a natural way – to treat depression plus many other psychiatric disorders. This ‘mega-vitamin therapy’ eliminates the need for toxic anti-anxiety medications. In fact, along with antioxidants like, vitamin C, E beta-carotene and selenium, niacin provides the ultimate protection against disease-causing free radicals. Depression is not caused by a pharmaceutical drug deficiency. In truth, we already know that vitamin B3 therapy is a simple, safe, and highly-effective way of improving your mental (and physical) health without the need for toxic chemicals. Learn more about this amazing therapy on the next NaturalNews Talk Hour. Vitamin B3 therapy cures alcoholism, anxiety, tension and, even, schizophreniaBack in 1960, ‘Bill W.’, co-founder of Alcoholics Anonymous, (Bill Wilson) met Abram Hofer, M.D., Ph.D. – who introduced Bill to the amazing healing potential of mega vitamin therapy. Dr. Hofer had lots of success treating schizophrenic patients – who also suffered from alcohol addiction and depression. Naturally, Bill W. was very curious – to say the least – and started to take 3,000 mg. of vitamin B3 per day. After a few weeks, the fatigue and depression that plagued Bill W., for years, was gone. To make a long story short, Bill W. gave 30 of his close friends in Alcoholics Anonymous the same therapy and, within 6 months, he was convinced vitamin B3 would be very helpful for alcoholics. Unfortunately, as I’m sure you could guess by now, many of his appointed ‘medical experts’ did not like his excitement over a vitamin therapy to treat health problems and, to this date, vitamin B3 therapy remains a ‘secret’ to millions of needy individuals. If you or someone you know is suffering from anxiety, depression or any other chronic stress-related health issue – don’t miss the next NaturalNews Talk Hour with Jonathan Landsman and Andrew Saul, Ph.D. – an expert in vitamin B3 therapy and natural healthcare pioneer. If you suffer from high cholesterol – you probably have a vitamin B3 deficiency. After all, vitamin B3 is responsible for maintaining a healthy level of cholesterol in the body. And, remember, if your cholesterol gets too high and your blood gets ‘sticky’ – lots of health problems are created like, fatigue, depression, clogged arteries, heart attacks and death. Skin lesions, throughout the body, are a clear indication of a vitamin B3 deficiency. Obviously, along with an improved diet of fresh, unprocessed foods loaded with organic fruits and vegetables – vitamin B3 supplementation will dramatically improve the health of your skin. Diarrhea, mental confusion and insomnia are virtually eliminated by consuming sufficient amounts of vitamin B3 – along with many other antioxidant-rich foods and a reduction in stressful living habits. In 2006, Psychology Today named Dr. Saul as one of seven natural health pioneers. He has won the Citizens for Health Outstanding Health Freedom Activist Award, is an Honorary Director of the Gerson Institute, and is featured in the documentary Dying to Have Known: The Evidence Behind Natural Healing and the very popular FoodMatters movie. The author or co-author of many books – his expertise on the topic of nutritional therapies for disease are second to none. Stop depression, heart disease plus much more! On the next NaturalNews Talk Hour, Jonathan Landsman and Andrew Saul, Ph.D. talk about how to naturally reduce emotional (and oxidative) stress – naturally with mega-vitamin B3 nutritional protocols. Don’t miss our life-saving program – Sunday, Nov. 3rd. (If this interests you—or even if it doesn’t—take a quick look at BLDGBLOG’s tour through the tunnels and sand mines of Nottingham, or stop by this older post on the “undiscovered bedrooms of Manhattan”). 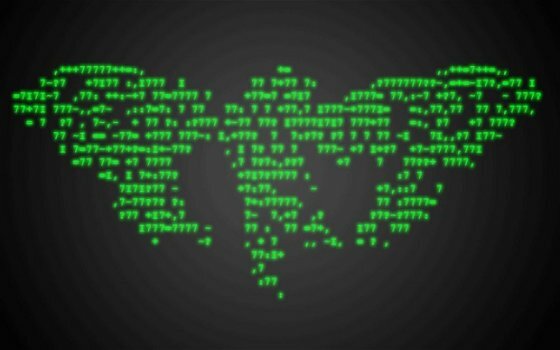 For the last two years world’s best code-breakers have attempted to unravel one of the greatest internet mysteries known as Cicada 3301.
Who is behind the code name? Is it a mysterious secret society or perhaps a think tank that recruits its members via complex Internet puzzles? In January last year, Joel Eriksson, a 34-year-old computer analyst from Uppsala in Sweden was checking the web looking for something he could read or investigate. What he came across was beyond his imagination. On an internet forum he discovered a strange that seemed highly unusual. The message was in stark white type, against a black background. The message was signed: “3301″. Eriksson, a self-confessed IT security “freak” and a skilled cryptographer became very interested. He was aware of that this was an example of digital steganography: the concealment of secret information within a digital file. Most often seen in conjunction with image files, a recipient who can work out the code – for example, to alter the colour of every 100th pixel – can retrieve an entirely different image from the randomised background “noise”. In an fascinating article published on The Sunday Telegraph Eriksson tells he was very sleepy and he was going to work next morning, yet he made an attempt to decipher the secret message. “After only a few minutes work he’d got somewhere: a reference to “Tiberius Claudius Caesar” and a line of meaningless letters. Joel deduced it might be an embedded “Caesar cipher” – an encryption technique named after Julius Caesar, who used it in private correspondence. As Claudius was the fourth emperor, it suggested “four” might be important – and lo, within minutes, Eriksson found another web address buried in the image’s code. Eriksson didn’t realise it then, but he was embarking on one of the internet’s most enduring puzzles; a scavenger hunt that has led thousands of competitors across the web, down telephone lines, out to several physical locations around the globe, and into unchartered areas of the “darknet”. So far, the hunt has required a knowledge of number theory, philosophy and classical music. An interest in both cyberpunk literature and the Victorian occult has also come in handy as has an understanding of Mayan numerology. It has also featured a poem, a tuneless guitar ditty, a femme fatale called “Wind” who may, or may not, exist in real life, and a clue on a lamp post in Hawaii. Only one thing is certain: as it stands, no one is entirely sure what the challenge – known as Cicada 3301 – is all about or who is behind it. Depending on who you listen to, it’s either a mysterious secret society, a statement by a new political think tank, or an arcane recruitment drive by some quasi-military body. Which means, of course, everyone thinks it’s the CIA. Who is behind Cidada 3301? 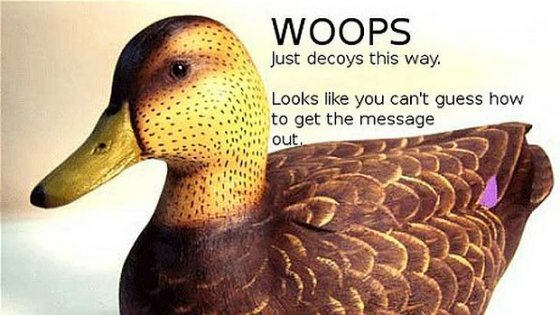 On the night of January 5 2012, after reading the “decoy” message from the duck, Eriksson began to tinker with other variables. Taking the duck’s mockery as a literal clue, Eriksson decided to run it through a decryption program called OutGuess. Success: another hidden message, this time linking to another messageboard on the massively popular news forum Reddit. Here, encrypted lines from a book were being posted every few hours. But there were also strange symbols comprising of several lines and dots – Mayan numbers, Eriksson realised. And duly translated, they led to another cipher. Suddenly, the encryption techniques jumped up a gear. And the puzzles themselves mutated in several different directions: hexadecimal characters, reverse-engineering, prime numbers. Pictures of the cicada insect – reminiscent of the moth imagery in Thomas Harris’s The Silence of the Lambs – became a common motif. “I knew cicadas only emerge every prime number of years – 13, or 17 – to avoid synchronising with the life cycles of their predators,” says Eriksson. “It was all starting to fit together.” The references became more arcane too. 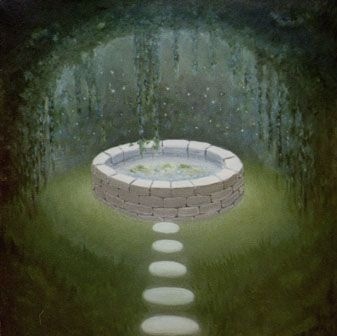 The book, for example, turned out to be The Lady of the Fountain, a poem about King Arthur taken from The Mabinogion, a collection of pre-Christian medieval Welsh manuscripts. Later, the puzzle would lead him to the cyberpunk writer William Gibson – specifically his 1992 poem “Agrippa” (a book of the dead), infamous for the fact that it was only published on a 3.5in floppy disk, and was programmed to erase itself after being read once. But as word spread across the web, thousands of amateur codebreakers joined the hunt for clues. Armies of users of 4chan, the anarchic internet forum where the first Cicada message is thought to have appeared, pooled their collective intelligence – and endless free time – to crack the puzzles. Within hours they’d decoded The Lady of the Fountain. The new message, however, was another surprise: “Call us,” it read, “at telephone number 214-390-9608″. By this point, only a few days after the original image was posted, Eriksson had taken time off work to join the pursuit full time. Although now disconnected, the phone line was based in Texas, and led to an answering machine. There, a robotic voice told them to find the prime numbers in the original image. By multiplying them together, the solvers found a new prime and a new website: 845145127.com. A countdown clock and a huge picture of a cicada confirmed they were on the right path. “It was thrilling, breathtaking by now,” says Eriksson. “This shared feeling of discovery was immense. But the plot was about to thicken even more.” Once the countdown reached zero, at 5pm GMT on January 9, it showed 14 GPS coordinates around the world: locations in Warsaw, Paris, Seattle, Seoul, Arizona, California, New Orleans, Miami, Hawaii and Sydney. Sat in Sweden, Eriksson waited as, around the globe, amateur solvers left their apartments to investigate. And, one by one reported what they’d found: a poster, attached to a lamp post, bearing the cicada image and a QR code (the black-and-white bar code often seen on adverts these days and designed to take you to a website via your smartphone). “It was exhilarating,” said Eriksson. “I was suddenly aware of how much effort they must have been putting into creating this kind of challenge.” For the growing Cicada community, it was explosive – proof this wasn’t merely some clever neckbeard in a basement winding people up, but actually a global organisation of talented people. But who? Speculation had been rife since the image first appeared. Some thought Cicada might merely be a PR stunt; a particularly labyrinthine Alternate Reality Game (ARG) built by a corporation to ultimately – and disappointingly – promote a new movie or car. But there were complicating factors to Cicada. For one, the organisers were actively working against the participants. One “solver”, a female known only as Wind from Michigan, contributed to the quest on several messageboards before the community spotted she was deliberately disseminating false clues. Other interference was more pointed. One long, cautionary diatribe, left anonymously on the website Pastebin, claimed to be from an ex-Cicada member – a non-English military officer recruited to the organisation “by a superior”. Cicada, he said, “was a Left-Hand Path religion disguised as a progressive scientific organisation” – comprising of “military officers, diplomats, and academics who were dissatisfied with the direction of the world”. Their plan, the writer claimed, was to transform humanity into the Nietzschen Ubermensch. “This is a dangerous organisation,” he concluded, “their ways are nefarious”. With no other clues, it was also asssumed by many to be a recruitment drive by the CIA, MI6 or America’s National Security Agency (NSA), as part of a search for highly talented cryptologists. It wouldn’t have been the first time such tactics had been used. Dr Jim Gillogly, former president of the American Cryptogram Association, has been cracking similar codes for years and says it’s a tried and tested recruitment tactic. But that doesn’t rule out other organisations. “Computer and data security is more important than ever today,” says Dr Gillogly. The proliferation of wireless devices, mobile telephones, e-commerce websites like Amazon and chip-and-pin machines, means the demand for cryptologists has never been higher. Eriksson himself agrees. As a regular speaker at Black Hat Briefings – the secretive computer security conferences where government agencies and corporations get advice from hackers – he knows certain organisations occasionally go “fishing” for new recruits like this. But to him the signs point to a recruitment drive by a hacker group like Anonymous. “I can’t help but notice,” he says, “that the locations in question are all places with some of the most talented hackers and IT security researchers in the world.” Either way, their identity would prove irrelevant. When the QR codes left on the lamp posts were decoded, a hidden message pointed the solvers towards a TOR address. TOR, short for The Onion Router, is an obscure routing network that allows anonymous access to the “darknet” – the vast, murky portion of the internet that cannot be indexed by standard search engines. Estimated to be 5000 times larger that the “surface” web, it’s in these recesses where you’ll find human-trafficking rings, black market drug markets and terrorist networks. And it’s here where the Cicada path ended. After a designated number of solvers visited the address, the website shut down with a terse message: “We want the best, not the followers.” The chosen few received personal emails – detailing what, none have said, although one solver heard they were now being asked to solve puzzles in private. Eriksson, however, was not among them. “It was my biggest anticlimax – when I was too late to register my email at the TOR hidden service,” he says. “If my sleep-wake cycle had been different, I believe I would have been among the first.” Regardless, a few weeks later, a new message from Cicada was posted on Reddit. It read: “Hello. We have now found the individuals we sought. Thus our month-long journey ends. For now.” All too abruptly for thousands of intrigued solvers, it had gone quiet. Except no. On January 4 this year, something new. A fresh image, with a new message in the same white text: “Hello again. Our search for intelligent individuals now continues.” Analysis of the image would reveal another poem – this time from the book Liber Al Vel Legis, a religious doctrine by the English occultist and magician Aleister Crowley. From there, the solvers downloaded a 130 megabyte file containing thousands of prime numbers. And also an MP3 file: a song called The Instar Emergence by the artist 3301, which begins with the sound of – guess what – cicadas. Analysis of that has since lead to a Twitter account pumping out random numbers, which in turn produced a “gematria”: an ancient Hebrew code table, but this time based on Anglo-Saxon runes. This pointed the solvers back into the darknet, where they found seven new physical locations, from Dallas to Moscow to Okinawa, and more clues. But that’s where, once again, the trail has gone cold. Another select group of “first solvers” have been accepted into a new “private” puzzle – this time, say reports, a kind of Myers-Briggs multiple-choice personality test. Maybe the mystery of Cicada 3301 will never be solved. By mystica  Posted in General, Unsolved Mysteries	 Tagged 4chan, Anonymous, Caesar cipher, CIA, Cicada 3301, Claudius, code, cryptic codes, cryptography, darknet, Deep Web, encryption, Eriksson, Internet, Internet forum, Internet puzzle, Julius Caesar, Maya numerals, mysterious messages, NSA, TOR, Uppsala, Woops! Can I See ISON On November 28? What’s Up On The Sky In December? — Don’t look for ISON during the day on Nov. 28. NASA spacecraft will watch it and we’ll post photos here. As always, never look directly at the sun. — If it doesn’t break up, ISON will be visible near the horizon in early December. Look to the East before sunrise and to the Northwest after sunset. A comet’s journey through the solar system is perilous and violent. A giant ejection of solar material from the sun could rip its tail off. Before it reaches Mars — at some 230 million miles away from the sun — the radiation of the sun begins to boil its water, the first step toward breaking apart. And, if it survives all this, the intense radiation and pressure as it flies near the surface of the sun could destroy it altogether. NASA has initiated a Comet ISON Observing Campaign to facilitate a massive global observation campaign incorporating both space-based and ground-based telescopes and encouraging citizen scientists and both professional and amateur astronomers to participate. Read on for a timeline of observations expected of Comet ISON on its perilous journey. At least a million years ago The comet began its journey from the Oort cloud, a swath of icy objects that orbit far beyond Neptune. This is Comet ISON’s first trip through the inner solar system. September 2012 Comet ISON was first discovered by Russian astronomers, Vitali Nevski and Artyom Novichonok, using the International Scientific Optical Network in Kislovodsk, Russia. 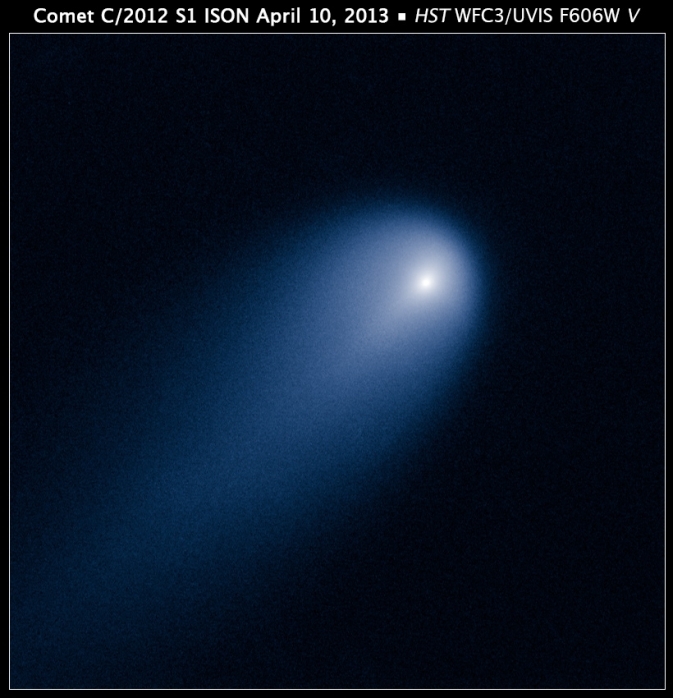 Jan. 17–18, 2013 NASA’s Deep Impact acquired images of Comet ISON. 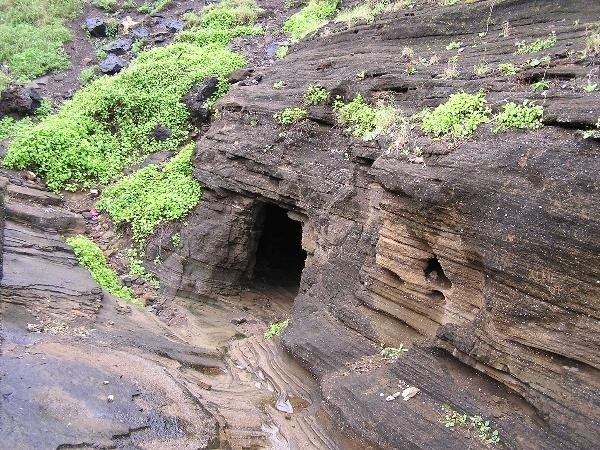 The observations were unable to detect whether carbon monoxide or carbon dioxide was present. January-March 2013 For two months, NASA’s Swift mission observed ISON when it was around 460 million miles away from the sun. (http://1.usa.gov/13E3yg0) Observations showed that ISON was shedding about 112,000 pounds of dust and 130 pounds of water every minute. The lower amount of water represents the fact that the comet was too far away from the sun for its water ice to have begun evaporating. Instead, other materials such as carbon dioxide or carbon monoxide ice were boiling off. June 13, 2013 NASA’s Spitzer Space Telescope observed Comet ISON at 310 million miles away from the Sun. The data are still being processed and no results have been announced yet. July-August 2013 Sometime in late July or early August, the comet will pass what’s called the frost line, some 230 to 280 million miles away from the sun, when it will feel enough radiation from the sun that water will begin to evaporate and the comet will appear brighter. Some comets have broken up upon crossing the frost line. August-November 2013 Beginning in August, astronomers will be able to observe the comet through ground-based telescopes once again. 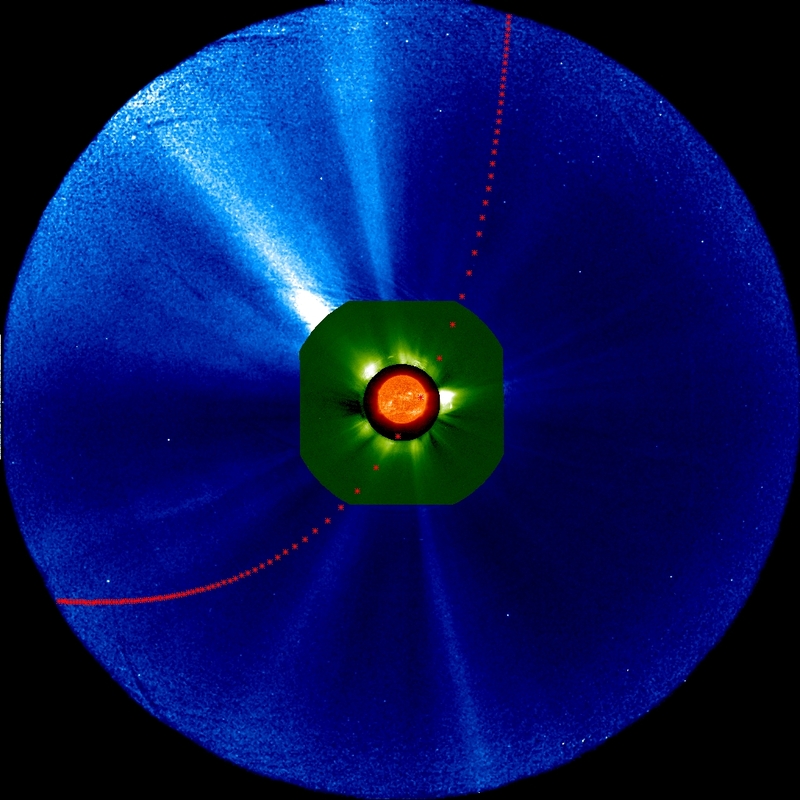 From early June through late-August, ISON was almost directly behind the sun as viewed from Earth, and thus could not be observed from the ground. September 2013 In September, the comet will be visible near dawn in the Southern Hemisphere with binoculars. Sept. 17-Oct. 15, 2013 Launch window for the Balloon Rapid Response for ISON, or BRRISON. This balloon, which with its payload will be 671 feet tall, taller than the Washington Monument, will launch from NASA’s Scientific Balloon Flight Facility in Fort Sumner, N.M. for a single day, carrying a 2.6-foot telescope and other science equipment. It will soar up to 23 miles above Earth’s surface, where it can observe the comet largely unhindered by Earth’s atmosphere. BRRISON will observe ISON in the near-infrared, near-ultraviolet and visible wavelength ranges, and will measure the ratio of carbon dioxide to water emissions from the comet. This ratio will be a vital diagnostic of the comet’s origins. These emissions are blocked by Earth’s atmosphere and cannot be measured from the ground. BRRISON is an unprecedented quick-reaction project to take advantage of the opportunity presented by the discovery of comet ISON, and is the first NASA Planetary Science Division balloon mission to observe a comet. October 2013 Mars Curiosity and Opportunity will have a view of ISON in October, with Oct. 1, 2013, being the comet’s closest approach to Mars. Comet ISON will be close enough to the sun, as of Oct. 10 that it will be visible by an instrument with an extremely wide view on one of the solar observatories: the HI 2 instrument on one of NASA’s Solar Terrestrial Relations Observatories, STEREO-A. At that point the comet will be around 94.5 million miles away from the sun. Additional Hubble observations are planned to provide new estimates on nucleus size and composition as well as to search for any fragments that have broken off. November 2013 Observations of Comet ISON with NASA’s Chandra X-ray Observatory will be used to study particles streaming away from the sun in the solar wind. These particles from the sun interact with Comet ISON to generate X-rays that are detected by Chandra. The first of two sets of observations is planned for early November, when Comet ISON will be passing through the hot wind produced by regions along the sun’s equator. Nov. 16-19 & 21-26, 2013 Comet ISON will be visible to MESSENGER, which is near Mercury. The closest approach will be on Nov. 19. Once the comet passes Mercury, it will be on the most perilous part of its journey. The intense radiation of the sun causes material to evaporate quickly off the comet. Moreover the very pressure of the solar particles on the comet can cause it to break up. A slew of space and ground-based telescopes will watch the comet as it makes its slingshot around the sun. Nov. 18-24, 2013 Launch window for NASA’s FORTIS (short for Far-ultraviolet Off Rowland-Circle for Imaging and Spectroscopy) sounding rocket, which will measure ultraviolet light from Comet ISON as it nears the sun. Such light can help scientists determine the production rate of volatile chemicals leaving the comet surface and also can be used to search for previously undetected types of atoms or molecules on the comet. In addition, ground-based solar telescopes – observing in optical, infrared and radio wavelengths – will all be able to observe the comet during perihelion. Such observations will provide additional information about the composition of the comet and how material evaporates off it, fueling the dusty cloud that surrounds the nucleus. One last solar effect could impact the comet at this stage in its journey. If the sun coincidentally sends out a giant cloud of solar particles, known as a coronal mass ejection, at the right time and direction to pass the comet, it could pull the comet’s tail right off. December 2013 – January 2014 If Comet ISON survives its trip around the sun, there’s a good chance that it will be incredibly bright and easily visible with the naked eye in the Northern Hemisphere. In early December, it will be seen in the morning, low on the horizon to the east-southeast. In late December and early January, it will be visible all night long. A second set of Chandra observations is planned for the middle of December to early January, when ISON will be passing through a transition region in the solar wind, where the hot wind from the Sun’s sun’s equator is mixed with a cooler wind produced by regions near the poles of the sun. December 26, 2013 Closest approach to Earth will be approximately 40 million miles. CMEs are magnetized clouds of plasma hurled into space by the explosions of sunspots. The gas inside a CME is not very dense, so its impact would not shatter a comet’s core. The fragile tail is another matter. Comet tails are as gossamer as the CMEs themselves, so the interactions can be intense and unpredictable. Comet ISON entered the field of view of STEREO-A’s Heliospheric Imager on Nov. 21st. Coincidentally, Comet Encke is there, too. Presently, the two comets are being gently buffeted by solar wind and their tails are wagging back and forth accordingly. If the sun erupts, both comets could be engulfed by the same CME. This would turn the two comets into solar probes. Like wind socks, they would sample the storm from two widely separated locations, giving researchers a rare 3D view of a CME’s inner structure. NASA’s entire fleet of solar observatories will be watching when ISON takes the plunge. This includes STEREO-A and STEREO-B, the Solar Dynamics Observatory, and the Solar and Heliophysics Observatory (SOHO), which NASA operates along with the European Space Agency. If a CME strikes the comet, all of the spacecraft are likely to see what happens. “It would be pretty new territory for us,” says Battams. “…and a nice preview of what NASA’s Solar Probe+ spacecraft might experience when it plunges into the sun in the 2020s,” adds Vourlidas.